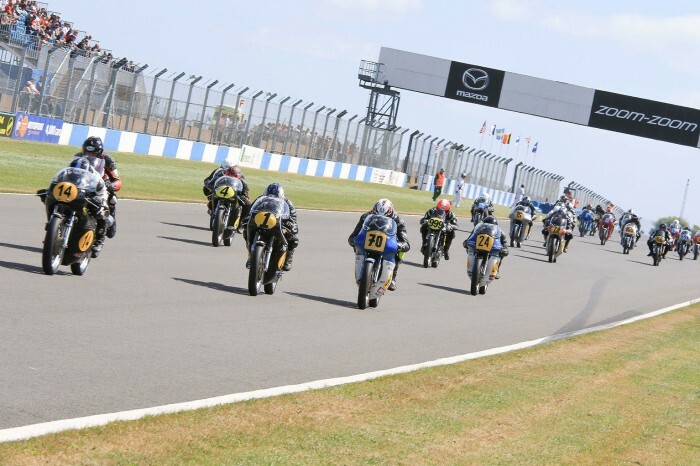 Michael Cooper, riding the Craven Norton of Yorkshire team owner Ted Woof, won £500 worth of that almost-gone element in motorcycle racing, prize money, in the ACU 500cc Classic championship at the Donington Festival. The race paid a total of £1000 in cash. Lee Hodge, on a Minnovation Matchless G50, looked like he was going to win until his bike expired with mechanical problems.